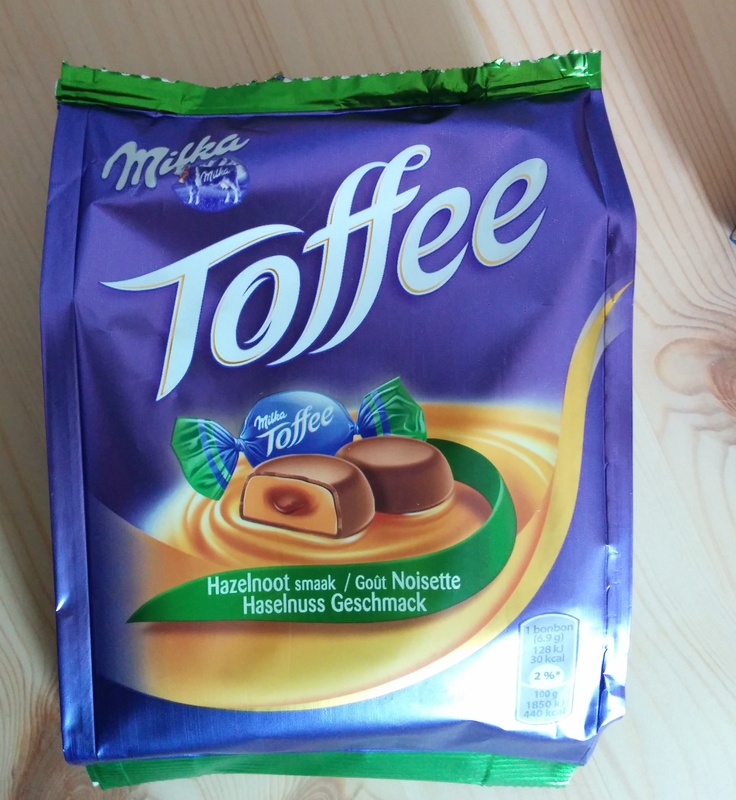 Milka’s Toffee candies look almost exactly as advertised on their package. A smooth hazelnut centre is surrounded by soft, chewy toffee and covered by chocolate. Jack: I liked these. They were surprisingly chewy and the chocolate centre was nice. Andrea: Yeah, with toffee I usually expect the candy to be a lot harder, so I guess you could say these candies sucked a lot less than I expected. Get it? Because there wasn’t that much sucking? 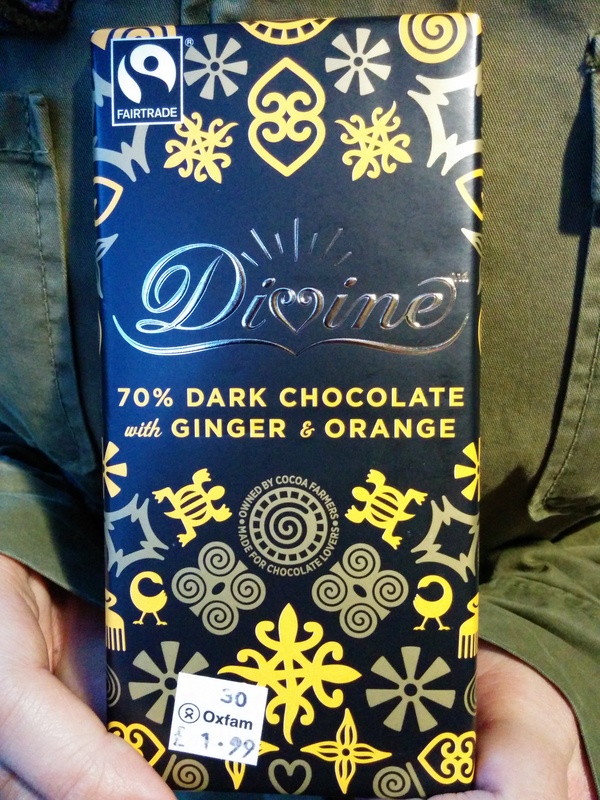 This was a spur-of-the-moment, we’re-in-Oxfam-so-why-not chocolate bar that we bought while we were picking our way through Glasgow. I had found a flower print dress and Jack was feeling peckish so we grabbed a bar by the cash register. Impulse buys really do work. Andrea: To be honest I was dubious about buying a bar for £2 but when Jack pulled it out before dinner suddenly the world was made clear once again. Jack: The orange flavour was good but the ginger wasn’t strong enough to make any difference. Still tasty, though.